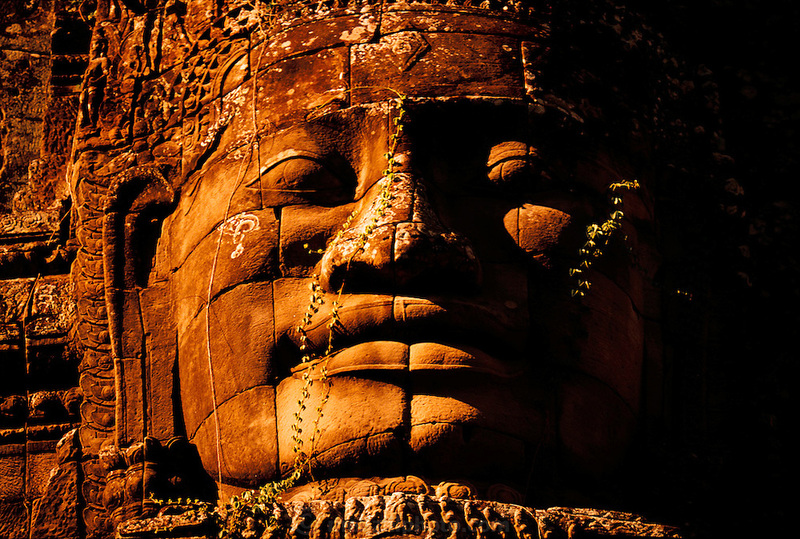 A giant stone face in the Bayon Temple in Angkor, Cambodia. A 12th century temple-mountain complex containing 200 gigantic faces. Image from the book project Man Eating Bugs: The Art and Science of Eating Insects.